SynXis Central Reservations (CR) is a comprehensive, easy-to-use rate, inventory, and reservations management solution. Available in eight languages, SynXis CR enables you to enforce unique, fine-tuned distribution strategies supporting your business goals. SynXis Central Reservations enables a single system of record that puts your unique distribution strategy into action, reaching the broadest points of distribution in the industry. 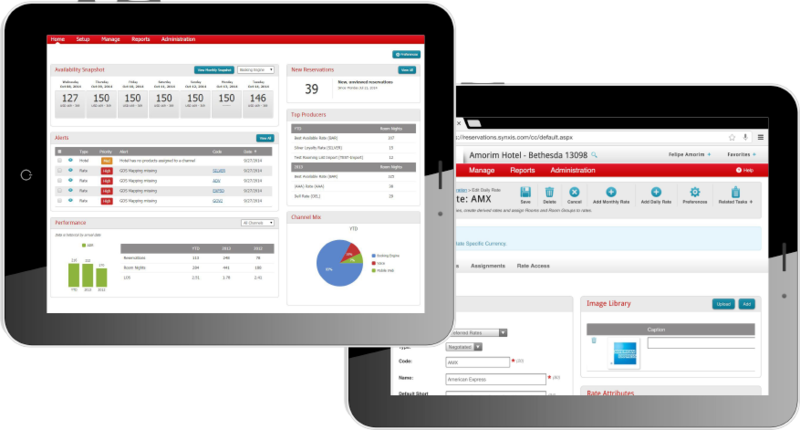 Grow your ADR and RevPAR with built-in powerful revenue management controls. Deepen customer engagement and drive adoption with out-of-the-box loyalty integration and the industry’s largest global distribution ecosystem. Leverage seamless connectivity to over 155 property management, 15 revenue management, 21 customer relationship management and 25 channel management solutions. Capture more revenue with real–time rate and inventory information across all channels, from a single system of record, with integrated reporting tools.